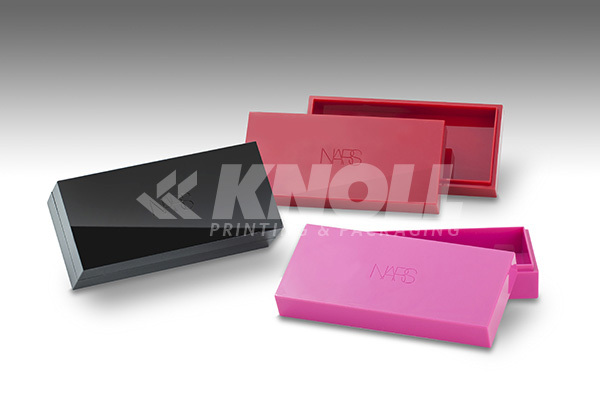 Products – Plastic - Knoll Printing & Packaging Inc. 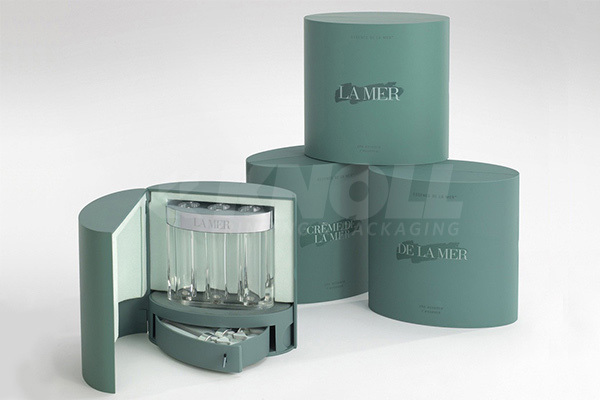 Plastic tinted box with high gloss finish. Logo debossed et the top. Rubberized custom color injection molded split oval. 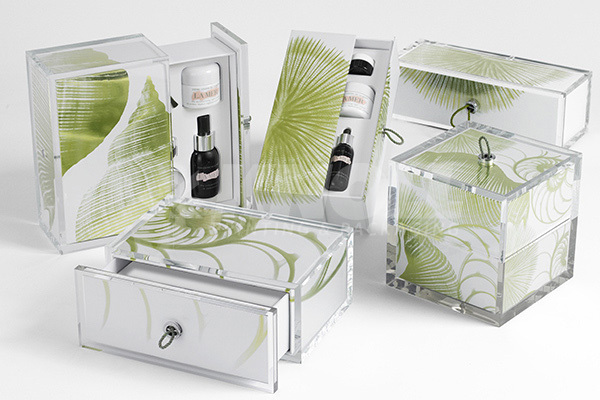 This elaborate box protects an exclusive elixir and application vials. Interior compartments are lined with custom color light and dark suede. Unique cupcake shaped injection molded plastic coffrets with metalized sprinkles and star. 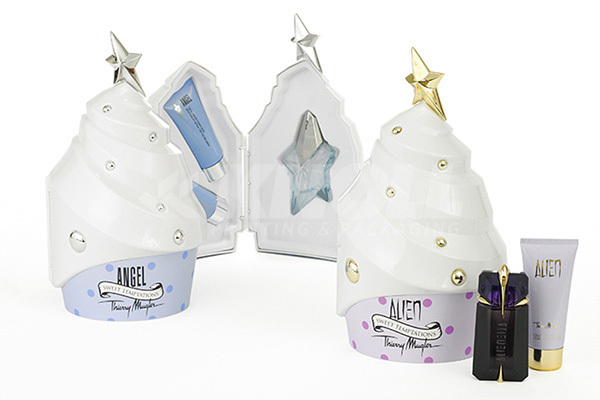 Products are placed in white flocked vaccumforms and the graphics are printed on the base of the coffrets. 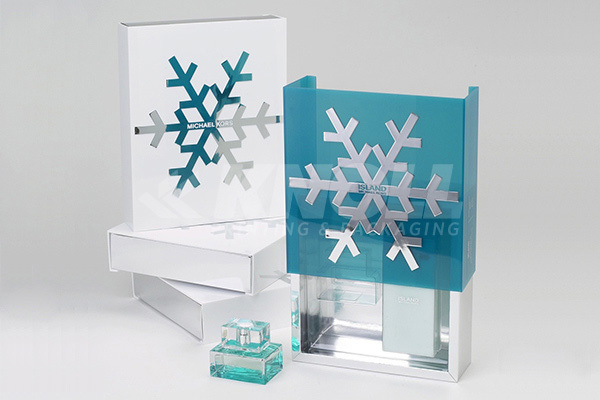 Drawer Style coffret collection of printed mylar crossover trays placed in heavy wall acrylic cases. The products are placed in white EVA foam wrapped with white mask. Holiday Set Combination of Knoll's patented Crossover® bumper tray with custom colored injection molded sleeve. Decorated with raised hot stamped snowflake. 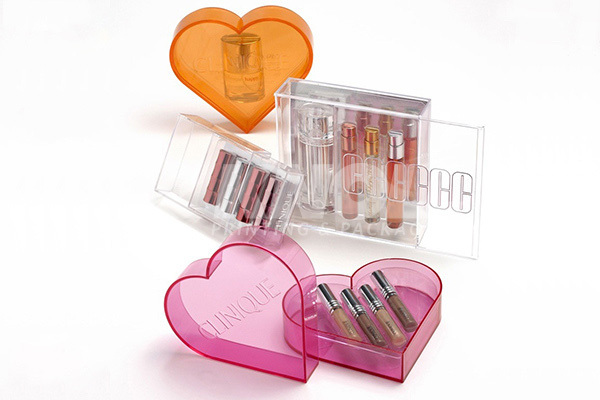 Injection molded heart shaped boxes, drawer boxes and slide cover boxes. Decorated with embossed hot stamped logos.